Indonesia – That’s 17.000 islands, 250 languages and 240 million inhabitants. That’s also a lot of crazy scooter rides through the thick traffic of Jakarta, via the sandy alleys of Nusa Lembongan or through the rice paddies of Bali. Indonesia, that’s also long party nights, many guitar evenings on the beach and the ever-returning sunrises and sunsets. Indonesia is a travel country, that has sheer endless facets, destinations and possibilities – so many, it is hard to be put into words. A country, that fascinates, that intoxicates and that saddens too, from time to time. Above all, it is a country, that, as a tourist destination, could not be any more perfect. A country, that will never make people cross all the things to do from their Indonesia-to-do-list and that is addictive once you let it enter your heart. Indonesia’s main ports of entry are the airports of Jakarta (Soekarno-Hatta) and Bali (Ngurah Rai Denpasar) Both have daily international arrivals and departures. 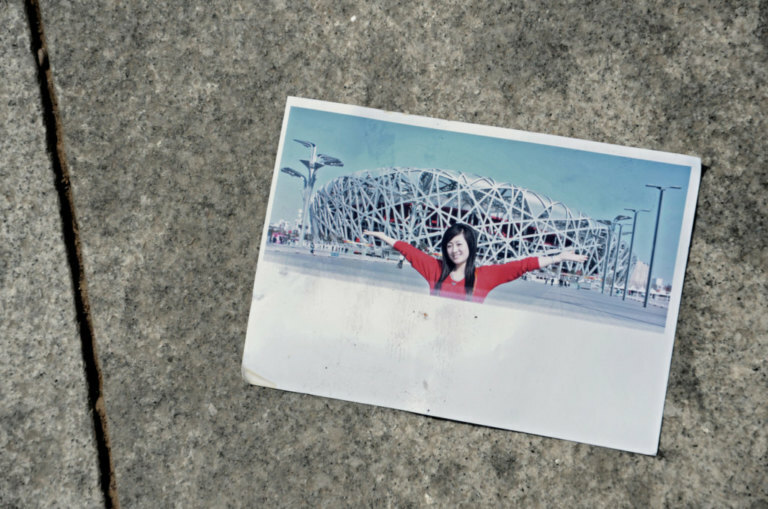 For travellers from the USA, the best and most affordable connections would be with Air China via Beijing and Xiamen to Jakarta or with Eva Air via Taipei to Bali. For UK travellers Royal Brunei offers connections from London via Dubai and Bandar Seri Begawan. 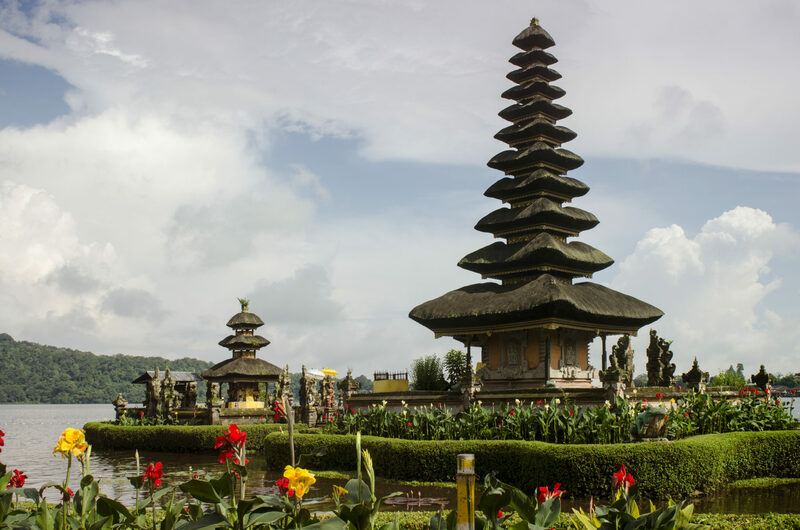 Alternatively Malaysia Airlines flies via Kuala Lumpur to Denpasar in Bali. For travellers that make their way through Southeast-Asia or that are just coming from New Zealand or Australia, flights with the local low-cost-airlines, such as Air Asia, Garuda Indonesia or JetStar are advisable. An Indonesia travel visa is a must, unless you originate from one of the 168 countries, that are eligible to enter and remain in Indonesia without a visa for 30 days for tourism purpose only. If you wish to stay longer in Indonesia, you may apply for a Visa on Arrival for US$ 35 at the airport. This visa may also be extended for another 30 days at one of the immigration offices in Indonesia. Visitors that do not have the privilege of travelling through Indonesia without a visa have to apply for the visa at the designated embassy before entering the country. Make sure to carry a passport with you, that is still valid for at least six months. Please refer to the visa information given by your country’s authorities for more details. The official language of Indonesia is Bahasa Indonesia. Though, each island has an own accent when speaking it. Also, there are approximately 250 other local languages spoken in the country. They are divided throughout the 17 000 islands and, sometimes, greatly vary from Bahasa Indonesia. Good morning – Selamat pagi! Good midday – Selamat siang! Good afternoon – Selamat sore! Good evening – Selamat malam! Are the waves good today? – Apakah ada sekarang ombak yang bagus? What is the best time for Indonesia travel adventures? Indonesia possesses two main seasons: the wet season and the dry season. Since the wet season mainly lies between November and April, anytime between May and October are perfect for travelling to Indonesia. 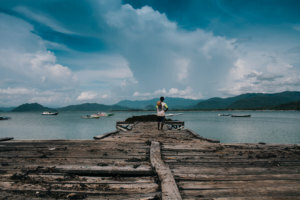 Throughout the wet season, Indonesia has lots and lots of rainfalls, that vary in intensity from island to island, but that still influence your Indonesia travel memories. The most perfect month to travel to Indonesia are May, June and October. Those are the months, during which it is not too hot and a rather small number of tourists make their way to Southeast Asia. Indonesia’s currency is Rupiah (IDR). Credit cards are widely accepted in the major restaurants, shops and malls. However, small stalls only accept cash. In terms of withdrawing money, credit cards are always a safe bet. Withdrawing money from ATMs is not a problem and/or difficulty per se as most of them accept both Visa- and Maestro-cards. Watch out: Sometimes group of men meet in front of different ATMs to check the amount of money that is being withdrawn from the person entering. In Indonesia, most ATMs will first return your money and then your card. Thus, it is quite easy to simply forget the card in the machine – perfect timing for the men waiting in front of it. They can now enter the ATM and withdraw as much money as they, since there is no pin code needed for a second, third or even fourth withdrawal. Further types of fraud: ATMs that are located at Minimart, CircleK or any other supermarket should be avoided. Mostly, cameras are operated in such a way, that they can directly spot the pin-code and any other information about the card, that is just being used to withdraw money. Also, do check whether the plastic that is around the card-entry-point is not loose. If so, then use another ATM as this one might take all your information directly. Thus, if you wish to withdraw money, try to use the ATMs that are located at proper bank branches in order to avoid any disappointment. Withdrawing money with an EC card in Indonesia is costly. Also, only few restaurants and shops accept EC cards for payment. Accommodation in Indonesia is not hard to find and can be your very own Indonesia travel dream. There are homestays on almost every single Indonesian island, which offer simple, cheap and mostly very comfortable rooms in a family-like surrounding. Also, especially in Bali or even in popular tourist spots in Lombok, high-class-hotels are predominantly existent. Book your homestay either right on the spot or online. Indonesia is a safe tourist destination. Since the terror attacks in Bali, in 2002 and 2005, special processes are being operated towards potential terrorists or people involved in terror organisations. Travellers in Indonesia should be aware of potential pickpockets and, thus, should pay special attention towards the bags they carry. 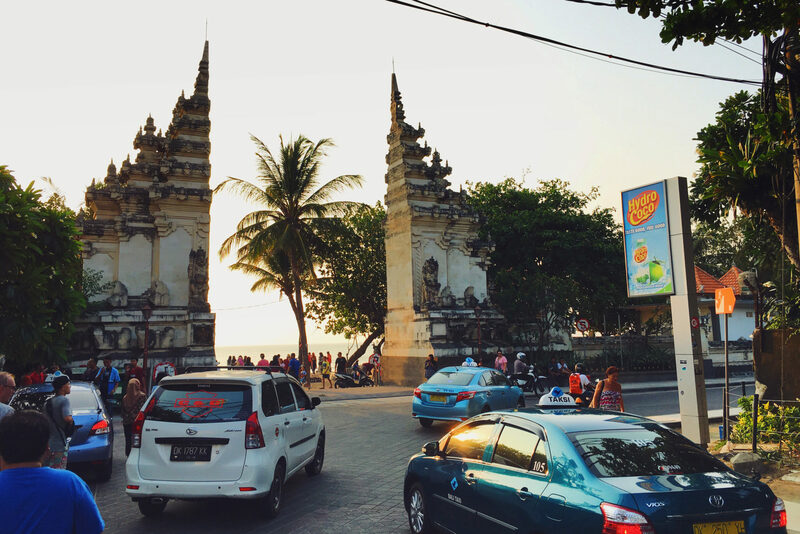 Especially in the busy streets of Bali, Java or Sumatra, thieves are very active. For those who drive around Indonesia by scooter at night, should put all the belongings into the seat – just in case. Indonesia is the world’s largest island country with more than 17 000 islands. Thus, taking an airplane (pesawat) to get from island to island might not even be a bad idea and, thus, adds a great memore to your Indonesia travel adventure. There is a vast number of local airlines existent in the country: Air Asia, Garuda Indonesia, Lion Air or Wings Air connect most of the islands with each other and their cheap tickets prices make travelling very easy. 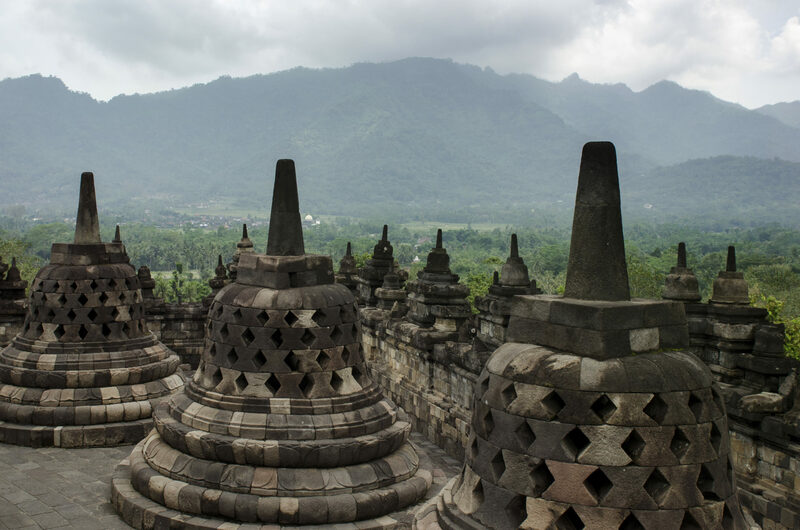 Looking for a proper Indonesia travel experience? Well, then go and search for public transport. Bali does have a public bus operating for a couple of years already, but seemingly busy with being stuck in the traffic. On the other islands, mini buses are operating. Simply ask at the stop about the direction and the price for one ticket, as it varies from bus to bus and place to place. 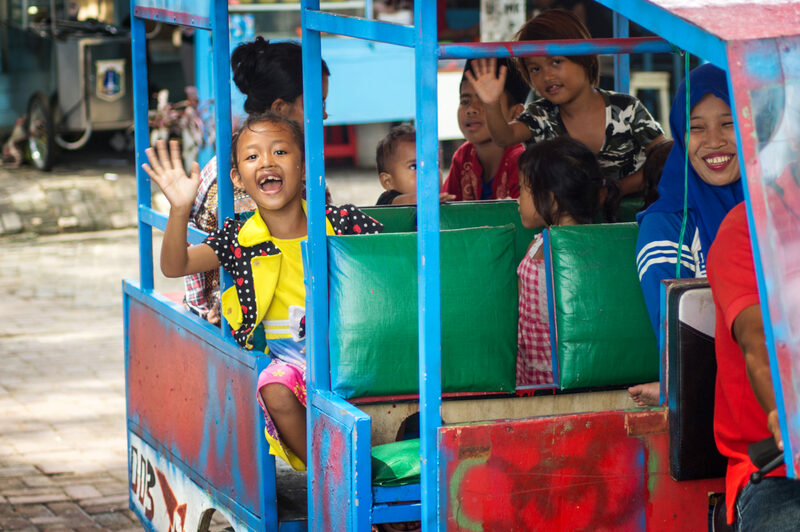 Especially in Java, train rides (kerata api) are a very popular means of transportation. Think about, sitting on a wobbling train, watching the beautiful landscape pass by, while meeting locals on the train. Whether it is the Gado-Gado-salesperson, the coffee-man or the woman with tea – they all take the train not only to sell their goods, but also to have a chat with their co-workers and with interesting foreigners they could ask about their journey. Tickets can be easily purchased at any train station. You do not feel like hitting Indonesian traffic on something that does not have doors and windows to protect you? Never mind. There are heaps of taxi companies (Taksi) operating in the country. There yellow one, green ones, blue ones and red ones, but the best you could take are the light blue ones – Bluebird Taxis, that are really popular in Bali and in Java. If you do not find a Bluebird Taxi and choose a different company, then arrange the price in advance or ask for a taxameter to avoid the taxi driver going around and around in big and expensive circles. Rental cars are widely available throughout Indonesia. However, since most islands suffer from heavy traffic, a scooter is the better alternative. The main means of public transport in Indonesia are scooters (sepeda motor). There are various official and unofficial scooter rentals throughout the country, where you can simply rent your vehicle for the period of time needed (costs: 70 000 – 80 000 IDR per day). The Indonesian traffic can be very rough at times. They say “Go with the flow”, meaning do not go too fast, but also not too slow and you will be fine. In case, the traffic is too scary for you, try getting an Ojek if you are looking for a cheap and quick means of transportation. Ojeks are taxi drivers without a taxi. They basically drive you from A to B on their own scooter – and mostly even have a helmet for you. Looking for an Ojek? You either find them while walking along the road or standing together with friends. A trip to Indonesia also means exploring the other, smaller islands, such as Nusa Lembongan, which is close to Bali or the Thousand Islands of Java. Various companies offer trips by speed boat (perahu motor) or ferries (feri) -with prices ranging from very very low, when choosing the local ferries, to very, very high when choosing speed boat operators that know how to handle tourists’ wallets. Before buying a ticket from a speed-boat-operator try to compare the prices and do negotiate. 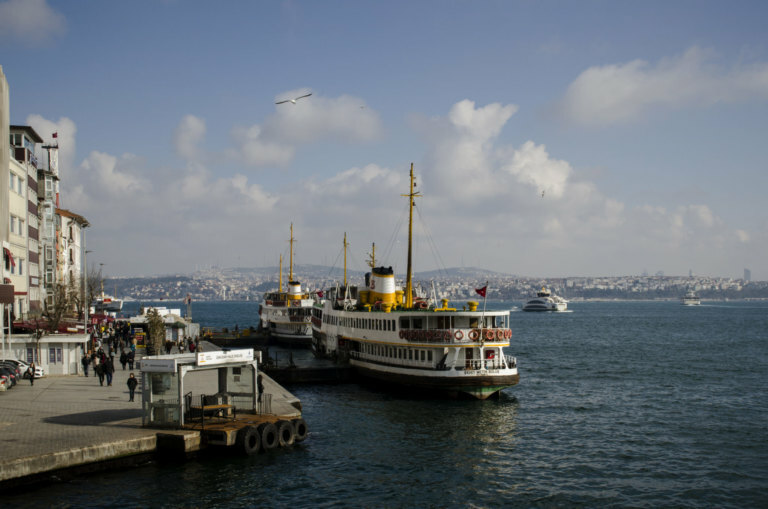 As for the ferry tickets, simply walk to the harbour and get yourself a ticket. For all travelers that are looking for the ultimate relaxation, without thinking about anything or having to organise anything, Indonesia has a lot travel offers with private drivers (sopir). Whether it is a day trip, a longer excursion or your entire holiday – private drivers are reliable, not too expensive and mostly very fluent in English and happy to explain you a lot about their country or their island. Indonesia is the world’s largest muslim nation: 200 million muslims live here, which is approximately 88% of the entire population. 23 million of all Indonesians believe in Christian thoughts, whereas only 1.8 % of the Indonesians are Hindus – 92.4 % of them living on the island of Bali. Ramadan: The fasting month ramadan is also celebrated in Indonesia. During that time, you will hear more and louder prayers from the different mosques surrounding you during your travels. Also, beware that traffic is getting heavier during the evenings (after sunset) of ramadan, when families and friends meet to enjoy their well-deserved dinner together. Also, prices for food as well as train and flight tickets are getting more expensive towards the end of the fasting month. Idul Fitri marks the finish line of ramadan – a day that is celebrated greatly throughout the country. Be prepared to receive a sudden invitation to a traditional dinner at a family house. For travellers who will be staying in Indonesia for a longer period of time and who might be in contact with dogs, a rabies vaccinations would also make sense. Typhoid and Hepatitis B vaccinations are advisable, but not a must. Especially during the rainy season, the tropical Dengue fever is acutely given. Through a mosquito bite, you’ll get infected and soon typical flu symptoms will evolve: muscular pain, fever, shivers. There is no medication against Dengue fever existent, but still, a quick move to the hospital should be the first idea when the symptoms begin. A blood test will show whether it is an ordinary flu or Dengue fever and once the diagnosis is done, sudden vitamine treatment and an increased intake of fluids will begin. Please do not forget to take proper DEET mosquito spray for your trip to Indonesia if you decide to travel during the rainy season. For any gastrointestinal problems, we advise to take Perenterol or Tannacomp. However, medication in Indonesia is well-developed and easy to get. An Indonesia travel guide would not be complete without adding an insight into the colourful and varied Indonesian cuisine. If you look at the vast number of different dishes, meals and traditional cuisine, you’ll easily get a glimpse of how big and varied Indonesia is. Every single Indonesian island has its own way of preparing food – ranging from the Christmas-like taste of Javanese Rendang curry, over super spicy cuisine from North Sulawesi to fried bananas on Balinese night markets. If a country has 300 different sorts of sambal – how could somebody potentially have a complete overview of all the culinary treats of Indonesia? Traditionally, food in Indonesia is being served in Warungs (small local restaurants), at night markets (pasar malam) or at one of the many cookshops, that are either fixed stalls or mobile ones, that locals use to serve food from their very own scooter. Indeed, a large number of ‘proper’ restaurants is also existent in Indonesia, but the traditional one are more fun, cheaper and authentic – let alone the taste! Indonesia’s national dish Nasi Campur is not really a dish itself, but more the definition of a plate of mixed dishes that you can choose yourself. Usually, Warungs store their different dishes on plates in glass cabinets. Every dish has its own price and you basically choose what you want. It’s an easy and yummy option for every traveller with either a limited budget or a very good taste. The classic dish Nasi Goreng is fried rice, mixed with, mostly, chicken and vegetables and served with a fried egg and deep-fried shrimp crisps, as well as some tomato-cucumber-salad-decoration. Hint: Try Nasi Goreng with sweet soy sauce (kecap manis) and do not forget to put some sambal on it. The alternative with noodles is called: Mie Goreng. Especially in the evening, you’ll see a lot of vendors selling food from their scooters. Most of them are bakso sellers. Bakso is a soup, that reminds a little of grandma’s chicken soup, that you got when you were really ill. It’s a meat broth with meat balls – either chicken (Bakso ayam), beef (Bakso sapi) or fish (Bakso ikan). You typically get Bakso in a bowl with cabbage, meat balls and crisps as well as different sauces for around 5000 IDR. Alternatively, do not forget to try Soto ayam – chicken soup. The soup is served with spring onions and long noodles as well as with a portion of rice. 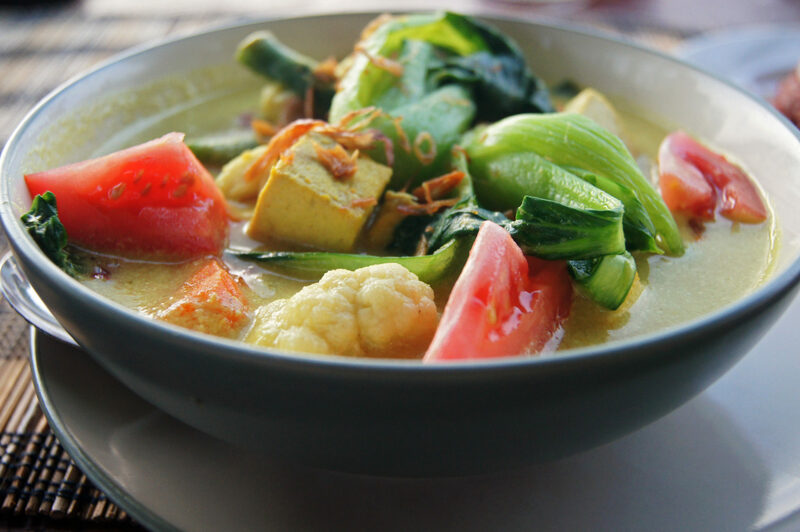 Also vegetarians and vegans will find lots of different possibilities to have a nice dinner in Indonesia. Whether it’s tempe (soy bean cake) or tofu – you’ll find lots of variations, spicy, mild and sweet. Potentially, the best vegetarian meal in Indonesia is Gado Gado – a simple cabbage salad with cucumbers, a boiled egg and peanut sauce. Not your kind of thing? Try Urap Urap – with fresh coconut grates as a base. Meat in Indonesia is one of the main dishes. The muslim islands, such as Java and Lombok, will not offer any pork meals, whereas Babi Guling (pigling) is a properly traditional dish on the hindu island Bali. 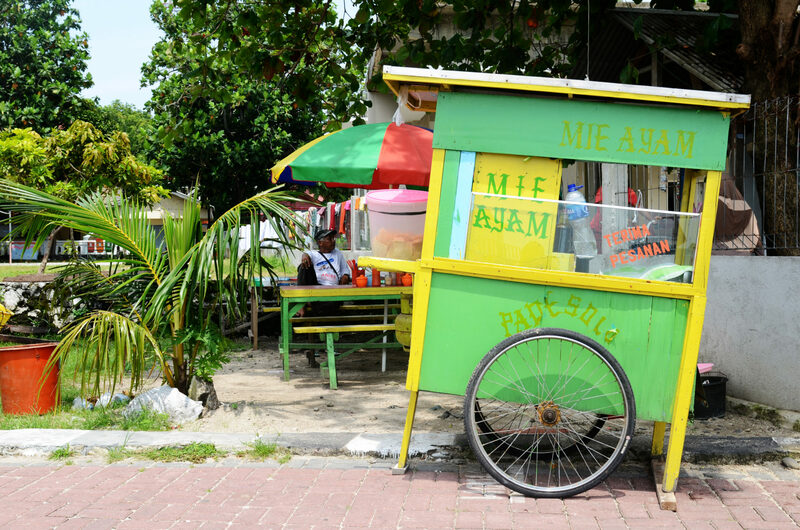 During your trip you will see a lot of mobile vendors selling saté-sticks, either grilled chicken, lamb, beef or fish on sticks and topped with peanut sauce – it’s a very yummy snack and totally affordable. Fancy a nice piece of meat? Go for lalapan and you’ll get one piece of fried meat, served with one slice of tomato, cucumber and salad each. Well, if you are a fish lover, you’ll love Indonesia. The country is a proper fish heaven for everyone who likes anything coming from the ocean. Especially on the islands of Bali, the Gili islands or Nusa Lembongan, fish dishes are popular and always fresh. If you are going to Bali, try the various fish restaurants in the village of Jimbaran and dig your feet in sand while enjoying some freshly grilled snapper, topped with some cheesy Indonesian mariachi music. Grilled fish (ikan bakar) is mostly served with rice, sambal and water spinach. Also: If you see it on the menu, go for Pepes Ikan – fish in banana leave, it’ll leave your mouth watering. Indonesians are proper sweets tooths! They love desserts. Whether it’s jelly with ice cubes, fruits, syrup and milk (es buah), fried bananas (pisang goreng) or huge pancakes with chocolate (martabak): if you are looking for something sweet, you won’t have any problems to find it. Fresh juices are the definite must for anyone travelling to Indonesia. Whether pineapple juice (jus nenas), orange juice (jus jeruk) or a mixed juice (jus campur): Juices in Indonesia are always fresh and full of vitamins. Beware: If you are a not-so-big-sugar-lover, let them juice makers know (Tidak gula, silakan.) in advance and they will leave their cup full of sugar out of your glass. Oh by the way: Ever thought of drinking avocado juice with chocolate? It’s well-known in Indonesia and really tasty. Other than that, an ice-cold bottle of teh botol (ice tea) is a real refreshment on one of those hot Indonesian days. 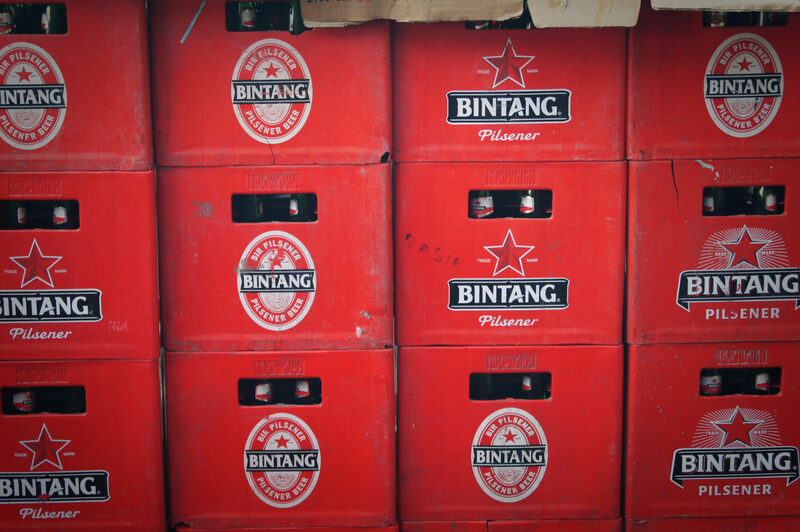 Don’t forget to try a fresh coconut (kelapa) or a chilled bottle of Bintang beer. Also coffee lovers will get hold of some good brew in Indonesia. try kopi gula (coffee with a lot of sugar) to get you blood sugar running, kopi luwak (cat coffee) to wake up in the morning or visit one of the fancy cafés for your beloved flat white – you’ll find nearly anything in Indonesia. Jungle or ocean. Trekking or surfing. Volcanoes or coral reefs. Hinduism or Islam. Touristy or well-hidden. To resume Indonesia in a couple of lines is quite impossible. Indonesia is varied, it is fascinating and addictive. Above all, it’s a place on Earth that will show you a new side, a new angle, a new facet during every single trip you are taking to Indonesia. This is an attempt to give a few hints and directions for your Indonesia travel adventure. 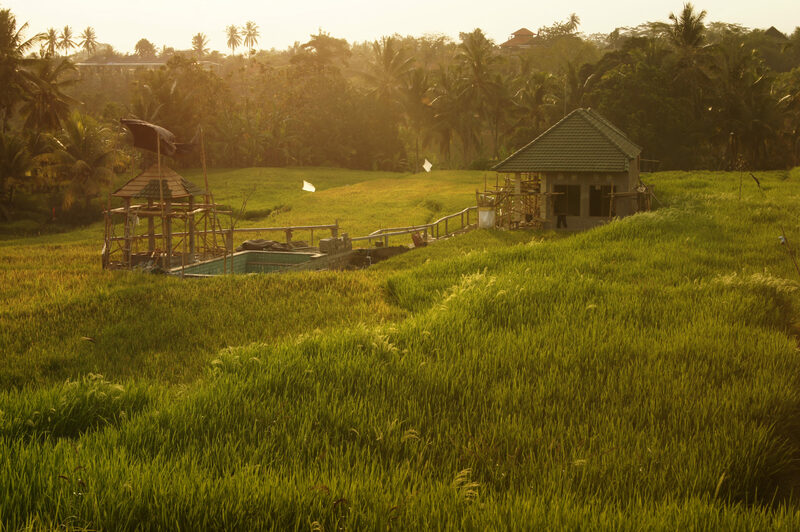 The island of the gods, Bali, is a touristy magnet – well, no doubt, it is. The island is perfect for everyone, who is looking for the perfect waves (Seminyak, Legian, Kuta, Medewi, Uluwatu), the perfect diving surrounding (Padang Bai) or some trekking adventures (Gunung Agung or Gunung Batur). 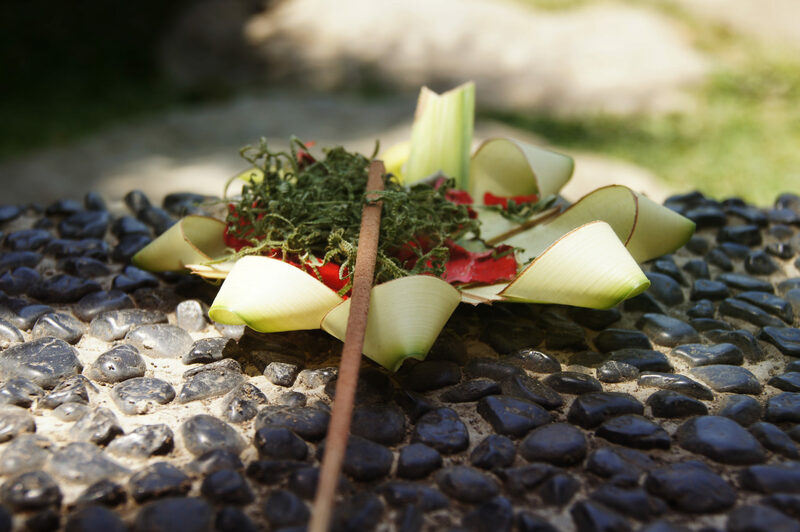 Also for those, who are simply looking for the perfect relaxation, Bali offers a vast number of places: Whether it’s the beaches, the spas or the calmness of the various temples, you’ll definitely find your own personal quiet spot here. Romantic hide-aways: Nusa Lembonga & Co.
Apart from larger islands, Indonesia is also home to a lot small, paradise-like-get-aways: such as Nusa Lembongan, Nusa Ceningan, Nusa Penida, which are close to Bali, the Thousand Islands, that are close to Java, Karimunjawa, Komodo or Rinca. Whether you’’ll go there to snorkel, to go on boat rides or to simply swim: this is where you’ll find your little paradise. For all the active travellers in Indonesia, that are looking for their active journey, Java and Lombok are good directions. 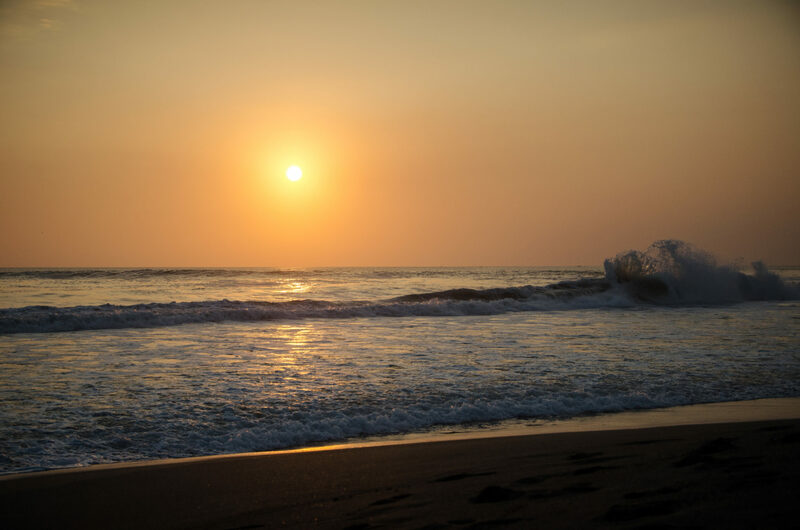 Both muslim islands are very divers to Bali and offer proper challenges: Whether it’s a hike up to the Rinjani volcano or hikes up the volcanoes Ijen or Bromo in Java, your muscle pain is definitely secured – and also the most spectacular sunrises. Whether it’s the rain forests in Sumatra, the tricolored lake in Flores or the lonesome islands Komodo and Rinca, which are famous for their Komodo dragons: Anyone looking for natural beauties in Indonesia, should go to Sumatra or Flores. If you see more surfboards than backpacks in the plane, then you’ll probably on your way to Sumbawa. The island is famous for their constantly breaking waves. That’s why not a lot of tourists actually go to Sumbawa and the target group is very focused on surfers and nature-lovers. Good for you, then you might be the only one exploring the hidden alleys and quiet forests of the island. The most expensive thing when it comes to your Indonesia travel experience is the plane ticket. Once you booked that, you can enjoy the small prices of travelling through Indonesia. Accommodation in simple homestays mostly never costs more than 250.000 IDR for a double room per night, a plate of Nasi Campur costs around 20.000 IDR and renting out a scooter in Indonesia should not be more than 150.000 IDR per day. Within the last years, Indonesia has developed itself to a well-developed country when it comes to Internet and wireless connections. If you are planning to stay in Indonesia for a longer period of time, you can easily purchase a Sim-card and enjoy a good internet connection at a very low rate. Also, most restaurants and cafés offer free Wifi and even co-working spaces are not scarce in Indonesia. All of those have a very reliable coverage on Bali and Lombok. Leaving those two islands, however, will leave you a little network-less with some providers. Telkomsel, on the other hand, should work. Also: If you purchased a Sim card from Three already in another country, you can still use it in Indonesia. Deciding for Telkomsel as your main provider in Indonesia will give you four major products that you can choose from: Halo, Simpati, As und Simpati Loop. Halo with its 14.4 mbit speed is one of the best options compared to Simpati (7.2 mbit) and As (3.2 mbit). Don’t worry, if you do not want to get a new Sim card. Most of the restaurants and cafés in Bali, for example, disposer over free wifi. For all travellers, wishing to backpack through the country, we can highly recommend the Lonely Planet Indonesia. bbe checking back soon. Please check out myy website too and let me know your opinion. Hey there! Thanks a lot. We always appreciate feedback. Greetings. I dint knew that this wonderful place,people,culture and ethics are also exists… I feel that I had a Great time today by reading your article..Thanks a lot for sharing!